A Step-By-Step Guide to Being an Indie Publisher. Written by Dean Wesley Smith, USA Today Bestselling writer and former publisher of Pulphouse Publishing. 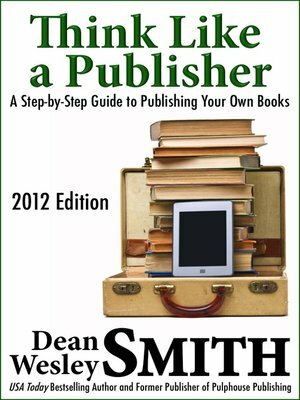 Point-by-point, Dean tells you what is needed to start up a publishing house and sell your books both electronically but also to bookstores. Bestselling author Dean Wesley Smith has written more than ninety popular novels and well over 100 published short stories. His novels include the science fiction novel Laying the Music to Rest and the thriller The Hunted as D.W. Smith. With Kristine Kathryn Rusch, he is the coauthor of The Tenth Planet trilogy and The 10th Kingdom. He writes under many pen names and has also ghosted for a number of top bestselling writers. Currently, he is writing thrillers and mystery novels under another name and working with WMG Publishing to put stories up for sale.